The Lola T530 had dominated the first half of 1980 but two teams had proved quicker in the second half of the season, VDS and Brad Frisselle Racing, and they maintained their momentum going into 1981. VDS produced their own car, VDS-001, based on the Lola T530 chassis but with all-new suspension and bodywork. Frisselle did not have the money for a full effort in 1981 but produced several customer cars and one of these, driven by Garvin Brown Racing's Danny Sullivan, won the high-profile race at Caesars Palace in October. 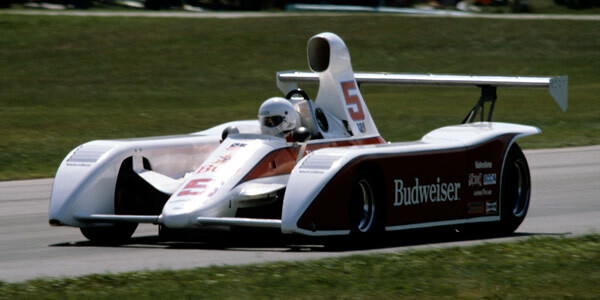 After the collapse of his deal with Chevron in 1980, Paul Newman had gone to March and ordered three new 817s for Al Unser and Italian F2 driver Teo Fabi. Fabi proved incredibly fast and Unser quickly retreated to CART, to be replaced by Can-Am regular Bobby Rahal. The Lola T530s were utterly eclipsed. Brabham used his in the first few races and won at Road Amerca before the VDS-001 was ready and Sullivan had some limited success in his car before renting the Frissbee but for the Carl Haas team, dominant for the last seven seasons of F5000/Can-Am, everything went wrong. The revised T532 was wrecked before it could prove itself and driver Jeff Wood was out of his depth. Lola lost customers in all directions and their long grip on American road racing was shattered. Haas and Lola would find a new direction.